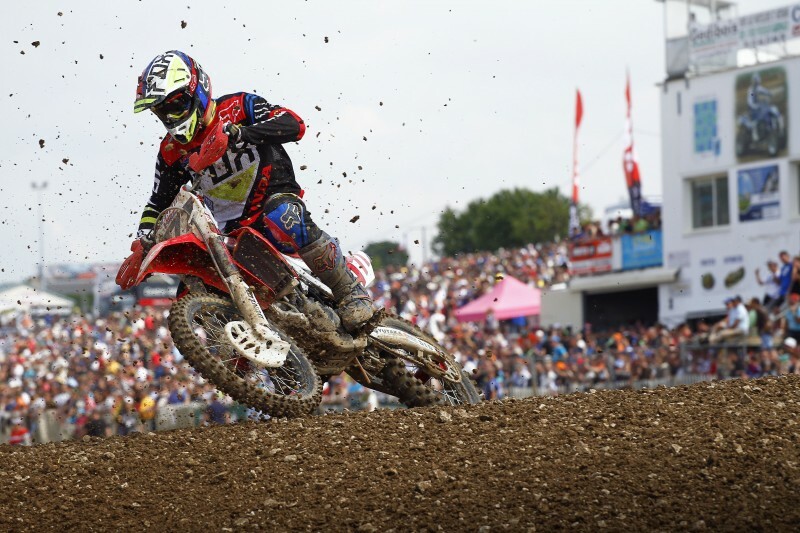 Calvin Vlaanderen has wrapped up his MXGP of France with a fifth-place finish in the second moto of the MX2 World Championship at Saint Jean d’Angely. With the championship reaching its halfway point, the Team HRC rider still lies fifth in the standings ahead of the team’s home round at… read more. 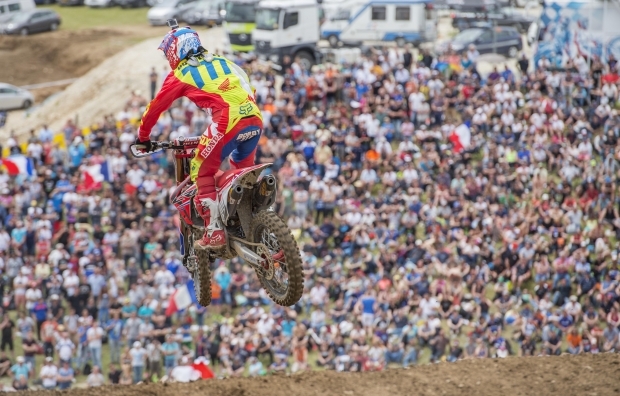 Tim Gajser has stepped on the podium for the third time this year by finishing third overall in the MXGP of France, which drew to a close today at Saint Jean d’Angely. With a fourth and a third in the two, tenth-round races, the Team HRC rider is now only… read more. 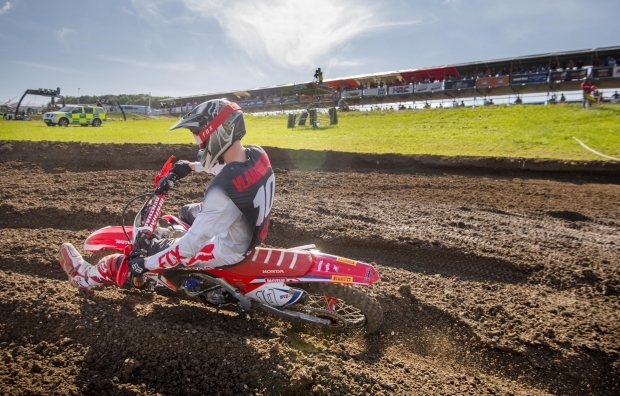 Calvin Vlaanderen and Team HRC have claimed an eighth-place finish in today’s qualifying race for the MX2 class at Saint Jean d’Angely, in what was an unexpected day of sunshine and high temperatures in western France. After a hesitant start out of the gate, which forced him down to fifteenth… read more. 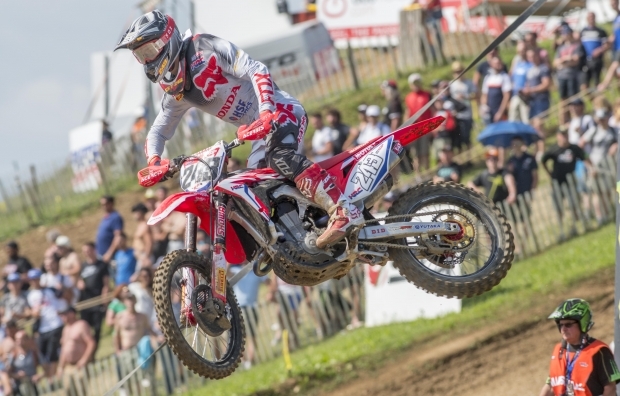 Team HRC’s Tim Gajser was fifth in today’s MXGP qualifying race at Saint Jean d’Angely’s ‘Circuit du Puy de Poursay’ – the venue hosting this year’s edition of the MXGP of France. 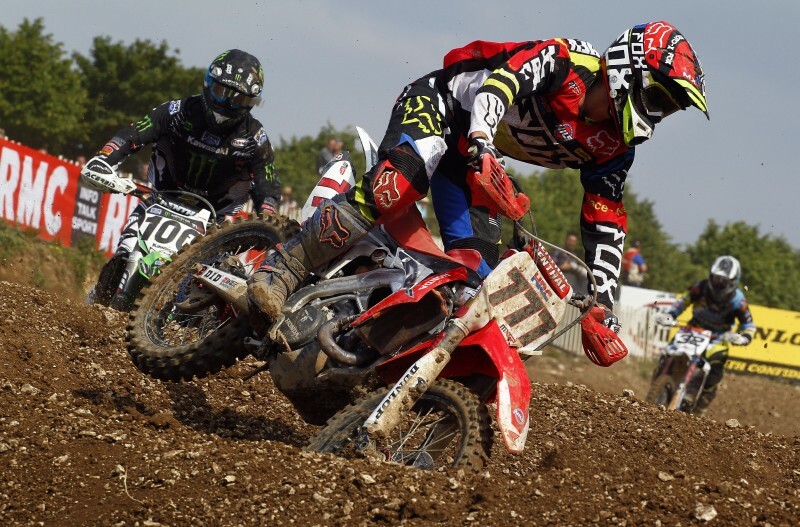 Gajser had a good start and an even better progression throughout the opening lap of the moto, with… read more. Team HRC is heading towards south-western France to take part in round ten of the 2018 Motocross World Championship, which will be contested this weekend at the Moto Club Angérien. 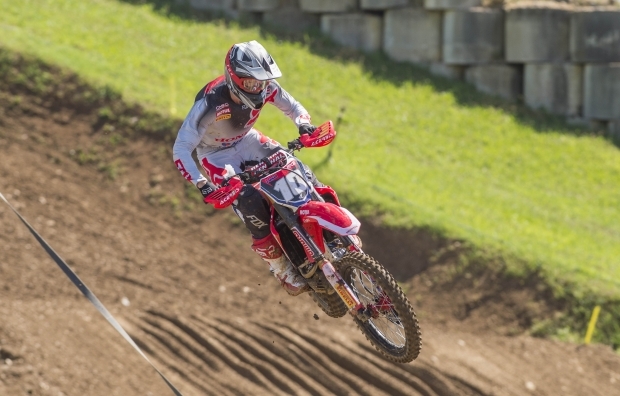 Tim Gajser and Calvin Vlaanderen are ready to tackle the second of three back-to-back Grand Prix aboard their Honda CRF… read more. 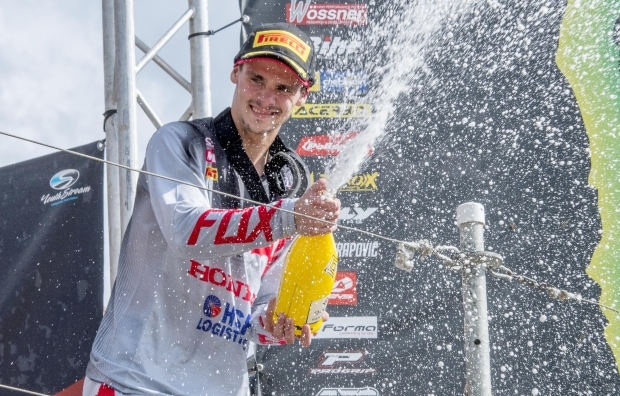 At the conclusion of the MXGP of France, two HRC riders climbed onto the podium for the second time in two races, with Evgeny Bobryshev in third and Tim Gajser in second. With Gautier Paulin out, the lone Team HRC contender today was the #777 CRF450RW of Evgeny Bobryshev alongside… read more. After yesterday’s crash whilst leading the qualifying race for the MXGP of France, Gautier Paulin will not race today in front of his home crowd. Crashing heavily on the landing of the fast downhill section just after the finish line, Paulin and his bike took a heavy impact. He walked… read more. 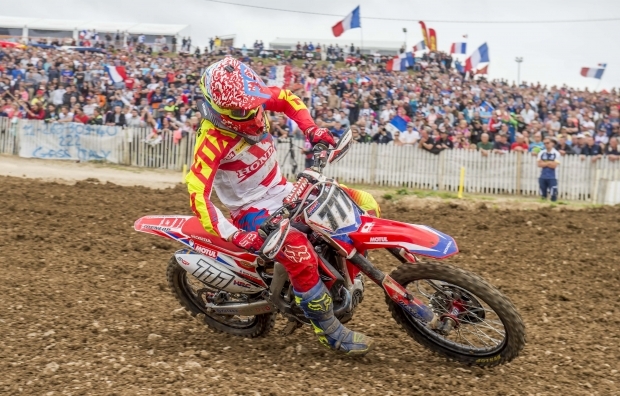 Evgeny Bobryshev took his second qualifying race win of the season in France today as, up until the last lap, Team HRC dominated the opening day at St Jean d’Angely. 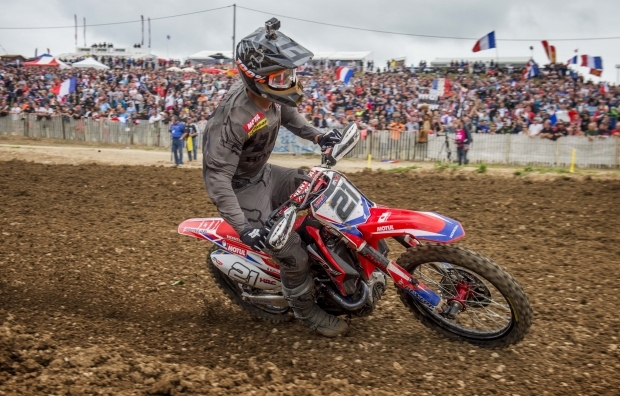 From the start, it was home hero Gautier Paulin who quickly established himself as the pacesetter, climbing his way from… read more. 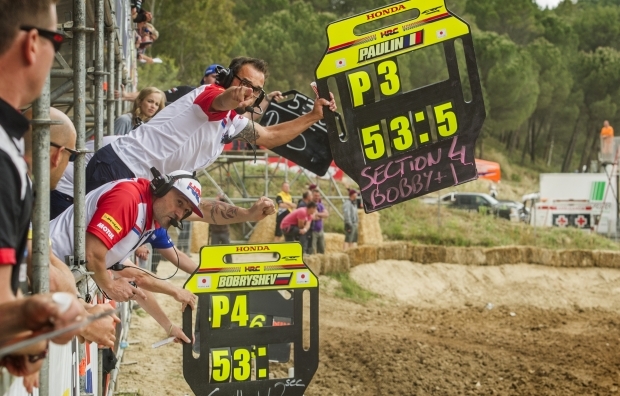 As the 2016 MXGP season enters its second half, the MXGP of France plays host to round ten. 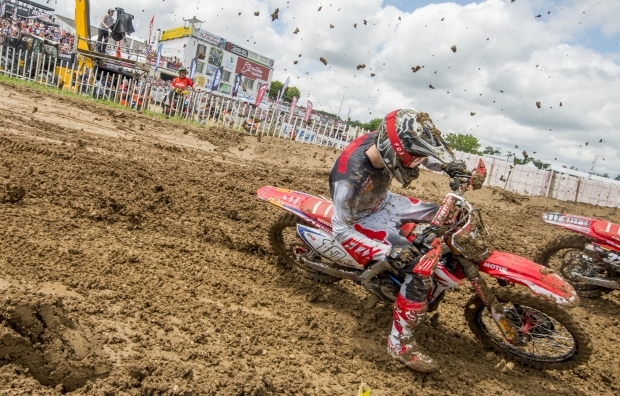 The St Jean d’Angely track makes a return to the calendar, with the race having been held at Ernée last year. Coming straight after Spain last weekend, the event marks the home… read more.